Every day, our experts come to the office, the lab, and the field in pursuit of our mission to improve the human condition by turning knowledge into practice. Through independent research and science-based programs, we are making positive impacts on people and communities around the world. Our diverse team embraces challenges in an inclusive atmosphere that values work-life balance and creates global opportunities for career development. If you’re looking for a dynamic workplace culture, comprehensive benefits, and opportunities to grow, search our job opportunities for your next career move. 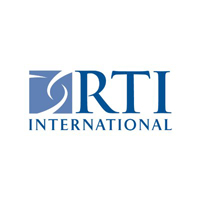 Join our team and discover the RTI Difference. We believe in national service and encourage returned Peace Corps volunteers, AmeriCorps alumni, and veterans to apply. World’s Most Ethical Companies” and “Ethisphere” names and marks are registered trademarks of Ethisphere LLC. 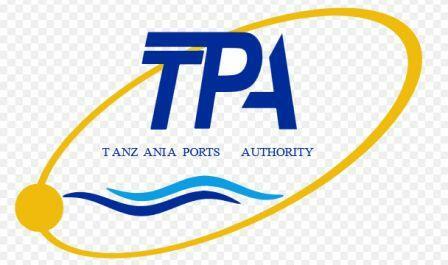 Tanzania Ports Authority (TPA), regulates and licenses port and marine services and facilities. It also manages vessel traffic in the port while ensuring safety and security. Our website contains information, guidelines and procedures on matters relating to the port and its operations. TPA operates a system of ports serving the Tanzania hinterland and the landlocked countries of Malawi, Zimbabwe,Zambia, Democratic Republic of Congo (DRC), Burundi, Rwanda and Uganda. The Ports of TPA’s are dynamic where around 3,000 people in a day to day various activities. The implementation of various Ports development projects like the construction of new berth (ro-ro) under Dar es Salaam Maritime Gateway Project (DMGP), new berth at Mtwara Port, new Oil Terminal at Chongoleani area under the Uganda (Hoima) to Tanga (Chongoleani) Pipeline Project and the Construction of new Pangani Port will create many new jobs in the coming years. 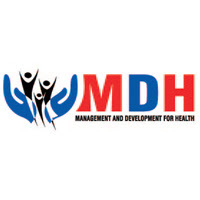 Management and Development for Health (MDH) was formed in January 2010 as a local Tanzanian NGO focusing primarily on public health service and research in the United Republic of Tanzania. MDH seeks to promote collaboration among government and academic institutions, as well as the private and non-profit sectors to advance the public health and health care interests of the people of Tanzania. MDH works together with its partners to address the problems of tuberculosis, malaria, HIV/AIDS, and other infectious diseases and chronic non-communicable diseases within the country. The organization also seeks to improve nutrition and maternal, neonatal and child health in Tanzania, while undertaking initiatives to advance public health research, education, and services to improve the lives of Tanzanian people. Since 2010, as a recipient of a President’s Emergency Plan for AIDS Relief (PEPFAR) grant, MDHhas been taking the lead in providing oversight for the high quality HIV/AIDS care and treatment services in the Dar es Salaam and Kagera region. MDH is governed by a board of directors, the majority of whom are senior Tanzanian experts in the healthcare and business fields. MDH is committed to success through its continued collaboration with current long-time partners Harvard School of Public Health (HSPH), Dar es Salaam City Council (Dar City), Muhimbili University of Health and Allied Sciences (MUHAS), and Muhimbili National Hospital, and through its established relationships within the Government of Tanzania (GoT), and various local and international academic institutions and public health organizations. MDH Tanzania Is one among the GGO's which is leading in the provision of Job Vacancies, Opportunities as well as Internship to the Young generation of Tanzania. Most of the time when they have a new opportunities, They used to list them on the link provided below. Please follow the yellow link to see if there is an available opportunities for you. The establishment of the JKT, was based on the ideas of the TANU Youth League (TANU Youth League), in their General Conference held in Tabora on 25 Aug 62, under the former Secretary General of the Union, not Joseph Nyerere. On 19 April 63, the Council of Tanganyika under the President of the Republic of Tanganyika and the National Father of Mwalimu Julius K. Nyerere, passed the TANU Youth Union Decision and decided on a single statement to be initiated on JKT on 10 July 1963. 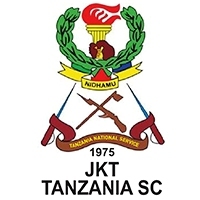 The first was trained in the Dar es Salaam camp at a peak of 11 youth from 11 districts. The early youth were secretaries of youth who were deployed by TANU in Yugoslavia in 1962, taking the leadership training of young people. Some of the young predecessors are Ms. Z. Kiango, Mr. S. Chale, Mr. P. Nyamgarulia, Mr. R. Kamba, Mr. H. Ngalason, Mr J. Ndimugwango, Ms. M. Mhando (Senior Guide), Mr. D. S. Msilu (Master), Mr ES Mwakyambiki (Senior Master) and Mr AI Msonge (Master), Mr LM Mitande. By August 1963, another group of five people with Mr. S. Desai, Mr. E. Simkone, Mr. J. Mwanimlele (Asst Master) and Mr. A. A Heart (Asst Master) joined and also received leadership training. During the launch of JKT, Mwalimu Nyerere said JKT's importance is from the State to require youth and youth care to respond to the call to serve their nation for whatever role they need. If You are interested to join with the JKT Tanzania Programme and Training, Please follow the Yellow link below which will connect you with their website for all current advertisement and jobs. Tanzanian Ministry of Agriculture Livestock and Fisheries, the ministry has mandate of overall management and development of livestock, and Fisheries resources for sustainable achievement of Millennium Development Goals, National strategy for growth and reduction of poverty, improved livelihood of , livestock and fisheries dependent communities, food safety and security without compromising animal welfare and environment conservation, To build and support the technical and professional capacity of local government authorities and private sector in order to develop, manage and regulate the, livestock and fisheries resources sustainability. To build and support the technical and professional capacity of local government authorities and private sector in order to develop, manage, and regulate the livestock and fisheries resources sustainably. 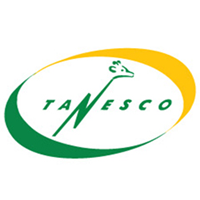 In Order to work with TANESCO, Applicants should have Specific attributes for the Positions to be filled. Be capable of delivering excellent results while working under pressure with tight deadlines. As Tanzania moves steadily towards middle-income status, opportunities exist to ensure that the fruits of development are equitably distributed, and that the most vulnerable members of society – including children and women – are not left behind. 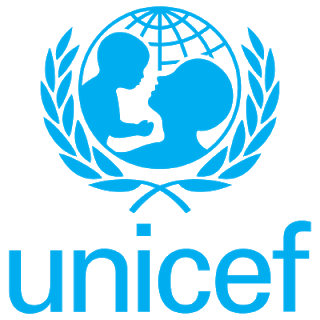 With this in mind, UNICEF embarked on a new country programme, in partnership with the Government of Tanzania, in July 2016. This five-year programme, from 2016–2021, focuses on practical ways to realize the rights of children. UNICEF's work spans seven areas – health, HIV and AIDS, nutrition, water, sanitation and hygiene (WASH), education, child protection and social policy. The programme's aim is that Tanzanian children, especially the most disadvantaged children and families, have access to and benefit from quality social services, knowledge and opportunities, and thereby have a fair chance in life. Achieving programme results for children and women is driven by several implementation strategies. These include developing the capacity of families and communities to care for children and demand quality services; strengthening national capacity to deliver quality and equitable social services; and generating data and evidence to bolster child-centred policy development and leveraging more resources for children. Employing innovative approaches to solve key bottlenecks is a core strategy. The programme seeks to cultivate and diversify partnerships for greater reach and efficiencies. UNICEF's Country Programme of Cooperation is implemented within the framework of the United Nations Development Assistance Plan II (UNDAP II) with all UN partners working together. It is aligned with the Sustainable Development Goals (SDGs) and also supports Tanzania's Second Five Year Development Plan, 2016/17–2020/21, a key tool for realizing the vision of becoming a middle income country by 2025. 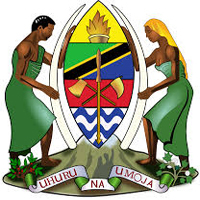 To view the available Jobs in Tanzania, Just click the link below and tick or search jobs in Tanzania for Applications. 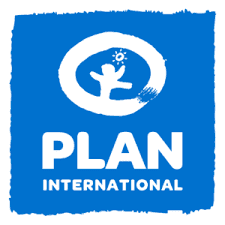 Plan International works across the globe to advance children’s rights and equality for girls. We strive for a just world, working together with children, young people, our supporters and partners. Will you join us? A leading international development NGO, we have career opportunities at our international headquarters in Woking, UK, as well as 4 regional offices and more than 50 developing country offices.